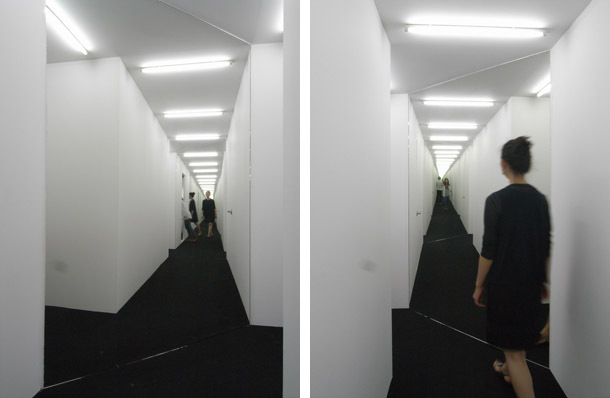 Stalker is an installation which unfolds as a segregated sequence of four uniform connected corridors. 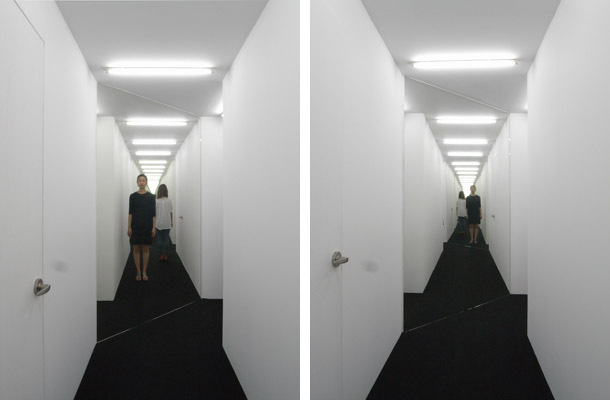 In each diagonal of the corridor corners a mirror is attached which triggers an endless 360 degree reflected repetition of the four corridors. Instead of observing one’s mirror image the subject perceive oneself from behind as if she is watching a another person from behind. Apart from being one’s own observer the mirror reflections forces the subject to observe all other present subjects in the installation and simultaneously being observed by them. 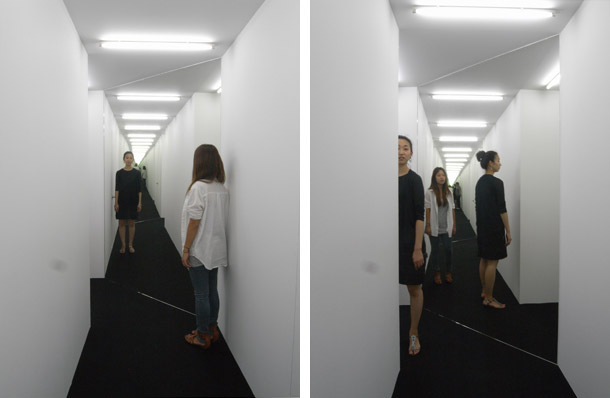 This version Stalker was site specificly installed in an office space in the former South Korean Defence Security Command site "KIMUSA", in Seoul. 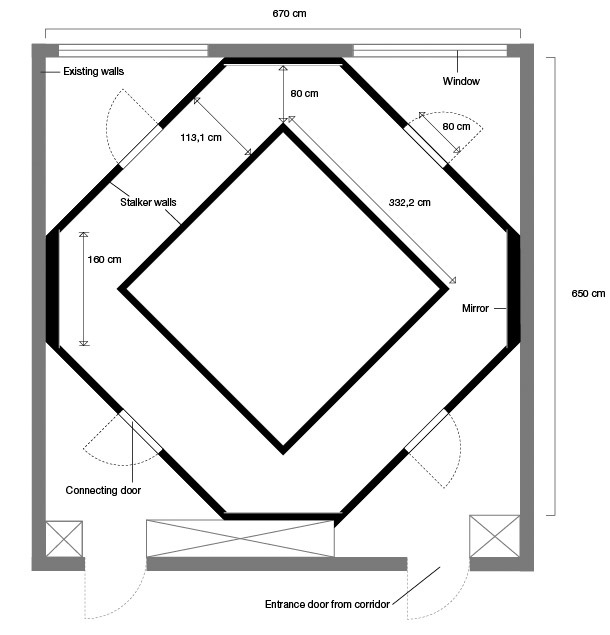 Interior views with different positionings of persons.